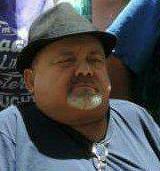 Harold Edward Withrow 57 of Winchester KY went to be with the Lord on Sunday, May 6, 2018 at St. Joseph Hospital in Lexington KY. He was born in Grayson KY on October 17, 1960 a son of Mike McCoy Jr. and Frances Marie Withrow Bailey. He was a disabled licensed Blueprintist and was of the Pentecostal Faith. He was preceded in death by his father and a sister, Barbara Withrow. He is survived by his mother, Frances Marie Withrow Bailey of Winchester; three brothers, Mike McCoy and his wife Sandy of Catlettsburg, Robert McCoy and his wife Judy of Grayson and Jerry McCoy of Winchester; six sisters, Cheryl Hamilton and her husband Dave of Wurtland, Della Sisler and her husband Tony of Winchester, Tina Hutchinson of Catlettsburg, Faye Chapman and her husband Dennis of Rush, Angie Enyart and her husband Tim of Summitt and Wilma Greene of Ashland along with a host of nieces, nephews, cousins, extended family and friends. Funeral services will be 1:00 PM Wednesday, May 9, 2018 at Wright’s Funeral Home in Greenup KY by Brother Matthew Adams. Burial will follow in the McCoy Cemetery in Raceland KY.
Visitation will be from 11:00 AM till the time of the service Wednesday at the funeral home.